Do you ever have those mornings where you wake up looking as though you have aged about a hundred years? You know, you go to bed looking like a beautiful cleansed, toned, moisturised hydrated princess and wake up looking like the dry, cracked desert sand? Well I know that may sound extreme but maybe some of you will know what im talking about. Some mornings I can wake up with so many sleep lines that it would take a skilled Plasterer all day and a lot of filler to sort me out. The amazing team at this works have come up with a wonderful solution. 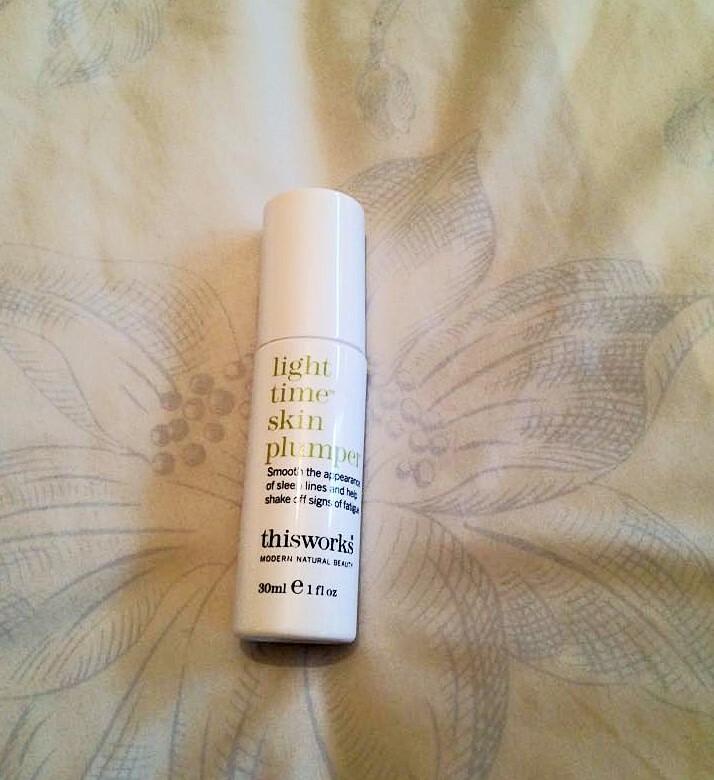 Using their in depth knowledge of pure, natural, hard working ingredients, Light Time Skin Plumper is a completely natural, lightweight cream that is able to smooth the appearance of those sleep lines and leave you at looking (if not feeling ) more awake. 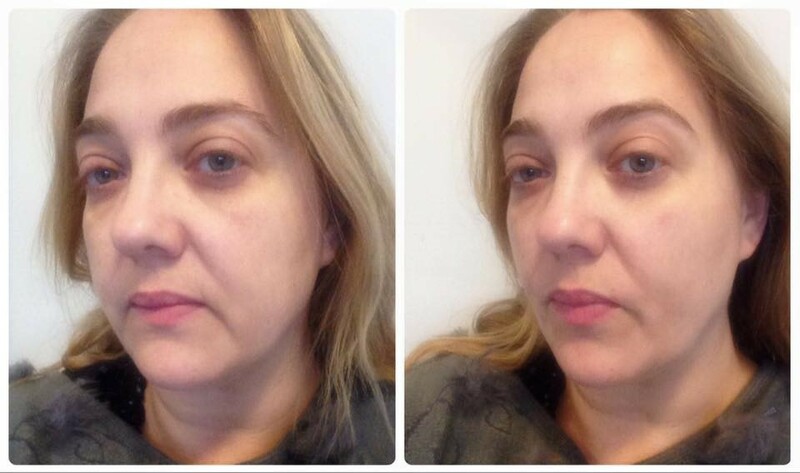 Light time skin plumper Contains Hyaluronic Filling Spheres, these plump out the “wrinkle”or “line” that has been left by sleep. I always sleep on my front with my head turned so my cheeks kind of squash up and I get lines above my lip, this is fantastic for smoothing it all out before it develops into a deeper permanent wrinkle over time. The cream also contains Vitamin C which we know is a great brightening antioxidant, Persian Silk Tree extract which can reduce signs of pigmentation, dark circles and shadows that make you look shattered, and skin smoothing Hyaluronic Acid. It is jam packed with feel good, look good, do good ingredients. Obviously we all know that the best thing for our skin, function and body is sleep but for some of us that is more difficult. I know when I am unwell, stressed or the children are ill I hardly get more than three hours sleep per night and it really, really takes its toll on me. Obviously first and foremost we should address these issues and This works has an award winning range of sleep aid products that could help, so do take a look on their website HERE. 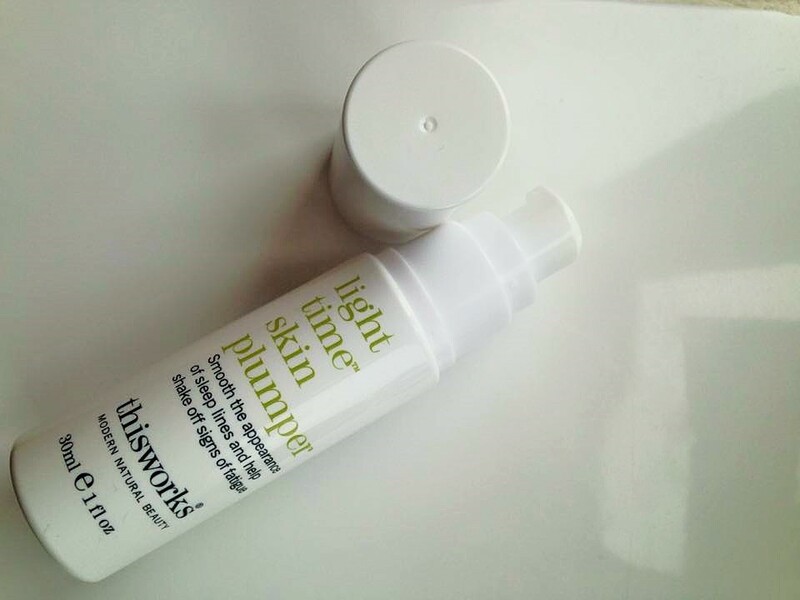 Light time skin plumper feels absolutely beautiful on the skin, it is cooling, lightweight and smells so uplifting. The texture is between a cream and lotion so very, very lightweight. It rubs in quickly and easily and does not, on me anyway with dry skin, leave any residue. I make sure that I apply two pumps on my face and neck morning and evening after cleansing, when I am going through a really “tired” looking period. When I have those sleep lines, I really massage the cream into them so the plumping elements can get to work. 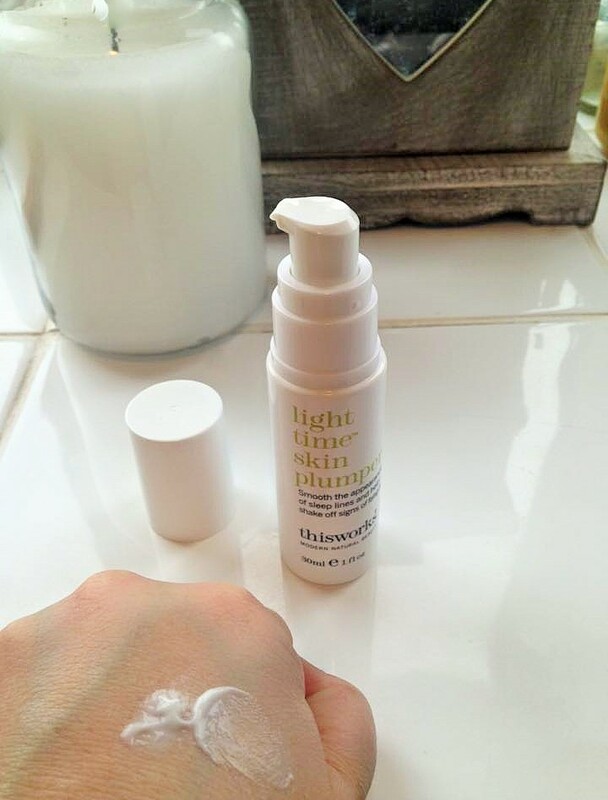 Immediately my skin is more awake, smoother and brighter and apparently over time this product can help make sure these lines do not get deeper and deeper until they are permanent. Comes in a handy, clean pump action tube too so that you do not over use it. the other day i accidently used it instead of my make up primer and my make up still looked fab haha! Would be great as a pick-me-up during the day too! Even if you feel shattered, there is no need to look it! I cannot believe I am posting a photo of me literally as I woke up…arrrgggghhhhh!! But you know me and I am honest on my blog so…! On the left just out of bed after 3 hours sleep, dull, grey skin, shadows under the eyes, and lines about my top lip. In my photo on the right after one application you can see my skin is brighter, that little line above my lip has been filled in and my skin has a bit more colour and is ready for make up. I think it looks so much better, it is subtle but can you imagine after regular use? Please drop me a comment below with any thoughts or questions!